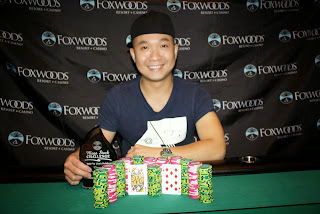 We now have a featured table from Event #6 $400 NLH Flight B streaming at www.FoxwoodsLive.com. Players in this flight are back from their second break of the day and are now playing 300/600 blinds with a 100 ante. 99 players remain from a total of 178 entries in this flight. The tournament clock has been paused and the field will play 5 more hands before bagging up for the night. We lost 5 more players in this level as the clock reads 31 players remaining. Level 15 has begun in Flight A, which is the last level of the night. 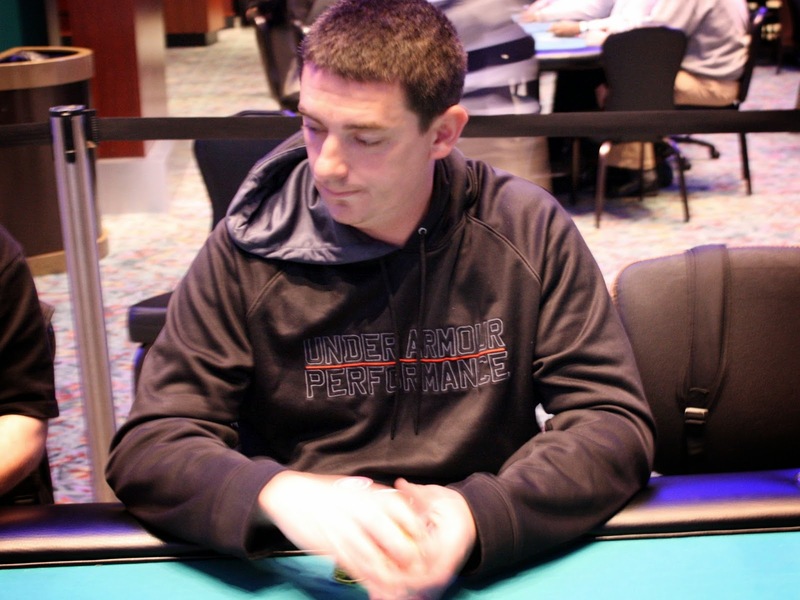 36 players remain, including chip leader James Campbell, who sits on 307,000. We arrived to count Je Wook Oh's chips and saw him facing a 60,000 bet on a [8h][Ah][4d][8s][Qs] river. 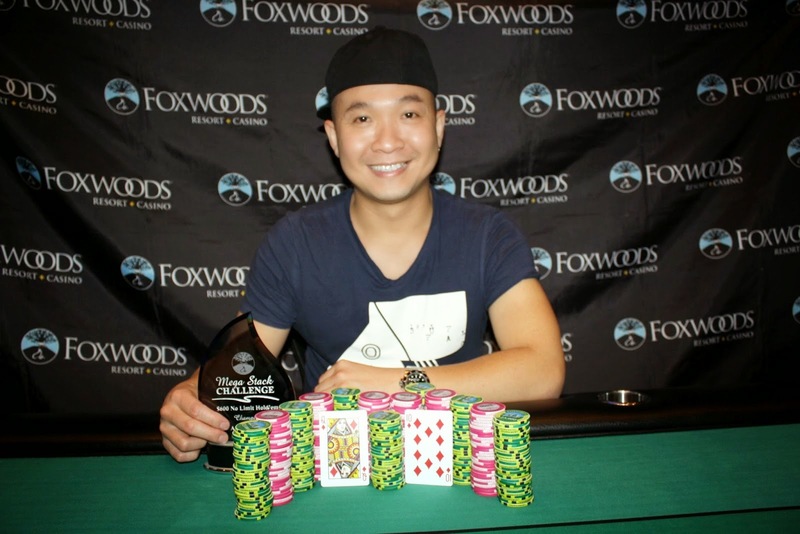 The clock was called on Je Wook and he ended up folding before his table was broken. He still sits on a healthy stack of 178,000. Meanwhile Flight B just returned from their first break. Registration is still open but they currently have 130 entrants. Cards are in the air for Event #6 $400 NLH Flight B. Meanwhile, Flight A is entering level 12, 600/1,200 blinds with a 200 ante. 69 players remain from the starting field of 179. There were a total of 179 entrants in Event #6 $400 NLH Flight A. Currently the blinds are 300/600 with a 100 ante, and 107 players remain. The tournament will play 7 more levels before bagging up for the night. Flight B begins at 5pm and will see a new batch of players enter to take their shot at surviving to day 2. They will combine with the survivors of Flight A tomorrow at 12pm to play down to a winner. A full structure for the tournament is available here. Registration will remain open through the end of the 8th level. This tournament is NOT a best stack forward. If you bag chips at the end of any day/flight and then play in subsequent day/flight, your previous day/flight chips will automatically be forfeited. Flights will be combined for Day 2 on April 30 @ Noon. It's almost midnight and Day 1 of Event #4 $300 NLH is almost done for the day. The last level of the night has just begun, 6,000/12,000 with a 2,000 ante. Only 14 players remain, and the day will conclude early if the final players are reached. Hand for hand play didn't even begin when we lost a player in 25th place, leaving the rest of the field in the money. With the elimination of our 26th place finisher, we are now hand for hand. 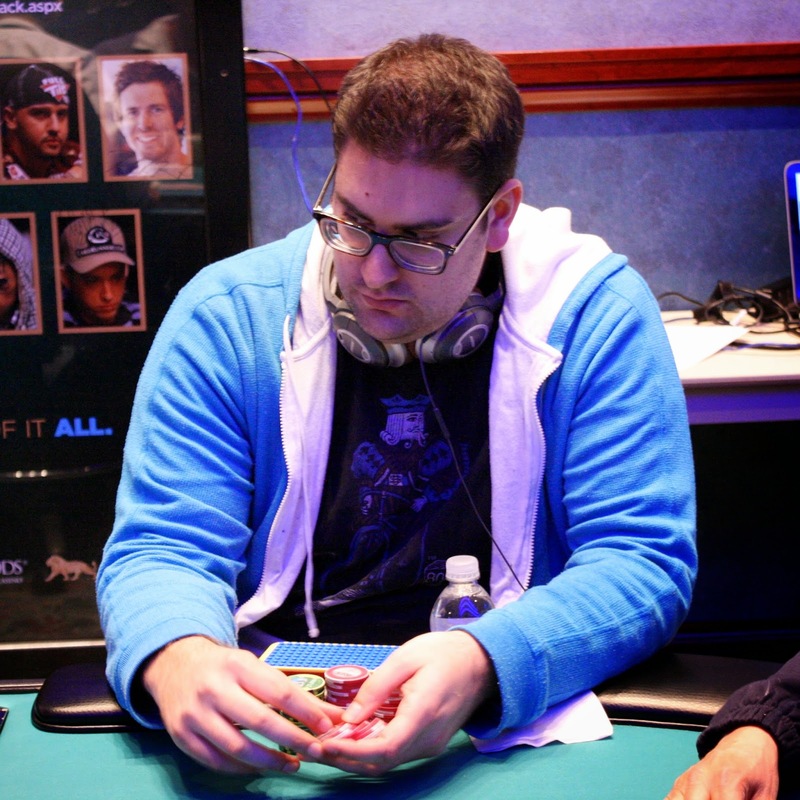 The next player eliminated will be the Bubble Boy, while the remaining 24 players will be guaranteed a $909 payday. Levels will be played for 30 minutes. 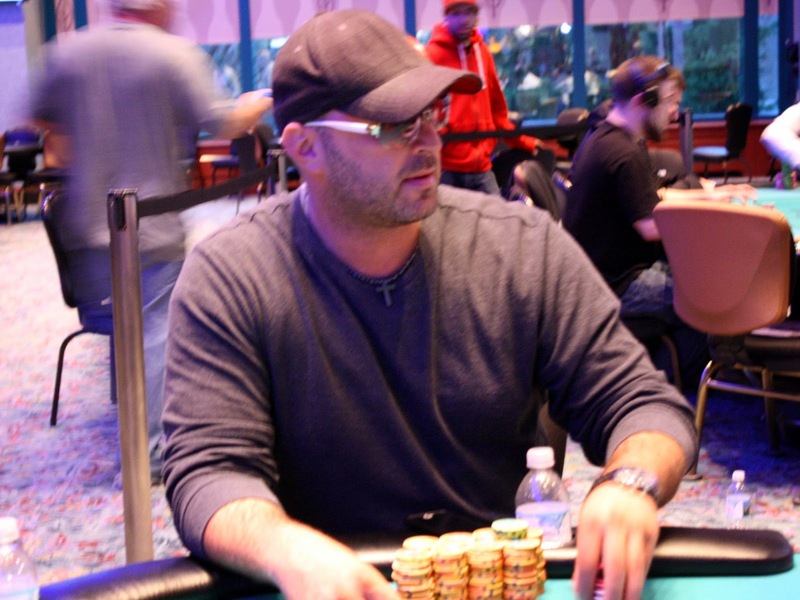 Don Farnen was all in preflop holding [As][3d] and was behind Jeff Cohen's [Ah][Ks]. 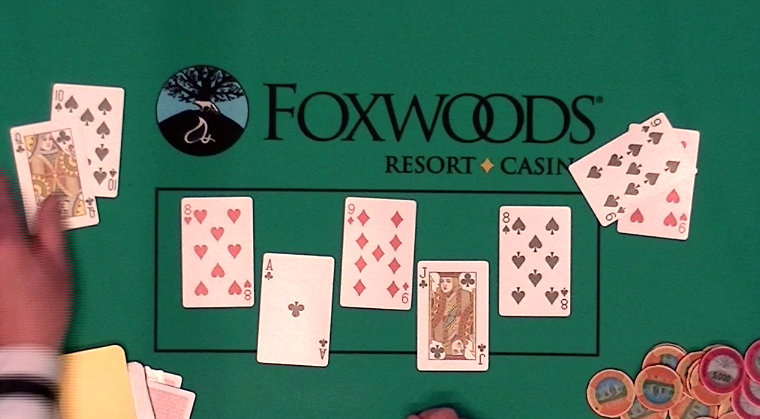 The [9c][9h][4s] flop gave Don chop outs, but the ace-king high held up through a [7s] turn and [8s] river. Don will earn $18,500 for his 3rd place finish. 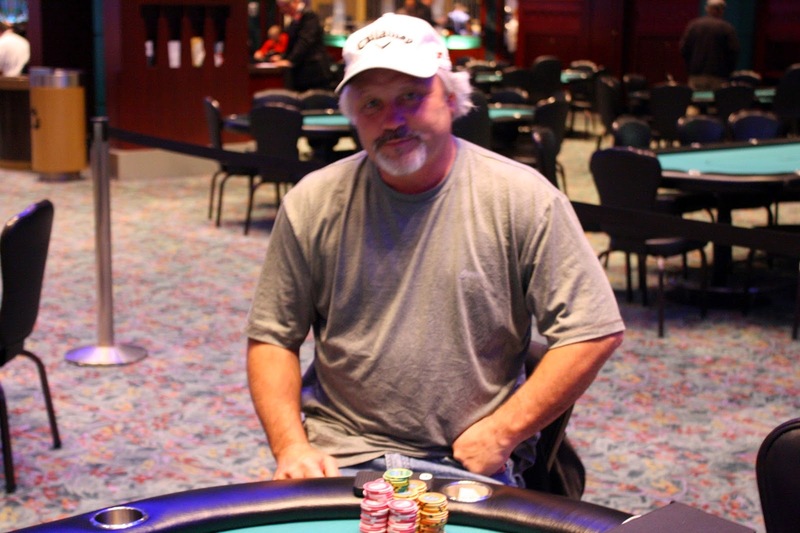 Frank Williams was all in preflop holding [As][Kc] against Don Farnen's [Qh][Qc]. Earlier in this final table ace-king couldn't lose, but lately it can't win. The board ran out [Jh][7d][3d][5d][3c] to keep the queens in front, sending Frank to the rail in 4th place. He will earn $18,500 for his efforts. The final five have just agreed to a deal. All five, with fairly equal stacks, will each take $18,500 a piece. The tournament will be winner take all for the remaining $5,356, so the winner will walk away with $23,856. 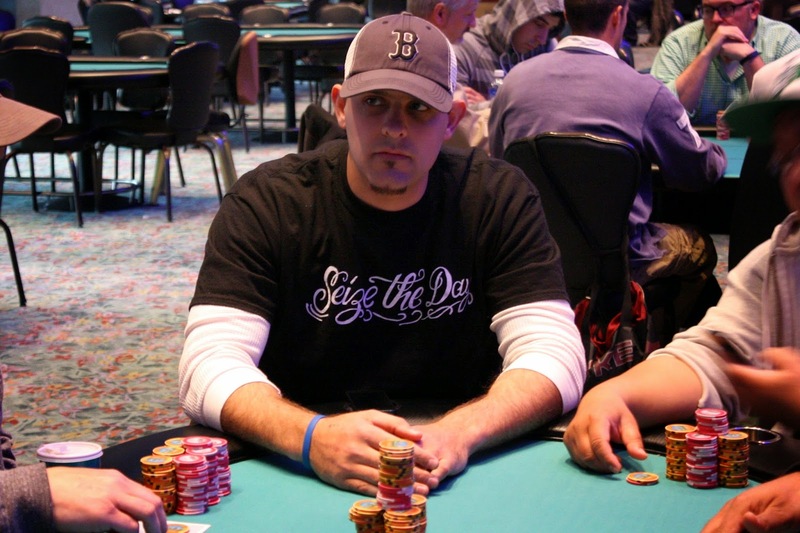 Jonathan Ray moved all in from the button and was called by Jeff Cohen in the small blind. John Quirk got out of the way, and Jonathan received the bad news: his pocket sevens had run into Jeff's pocket jacks. 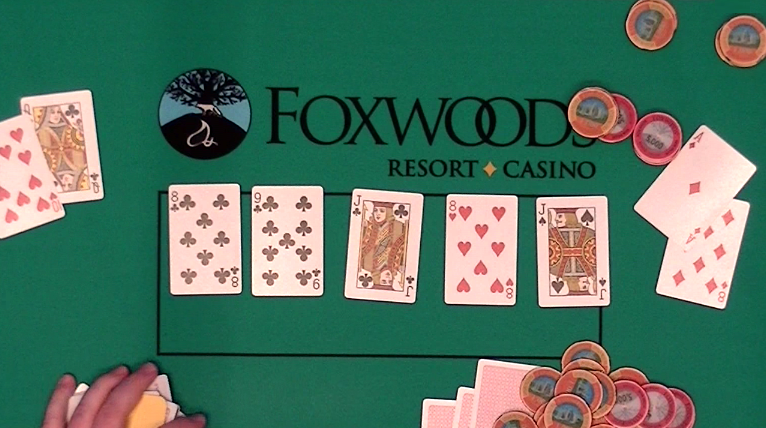 The board ran out pure, and Jeff's jacks held up to send Jonathan to the rail in 6th place. He will earn $7,307 for his efforts. William Dang was all in preflop holding [Ad][Kh] and was up against the [As][Qs] of Frank Williams. 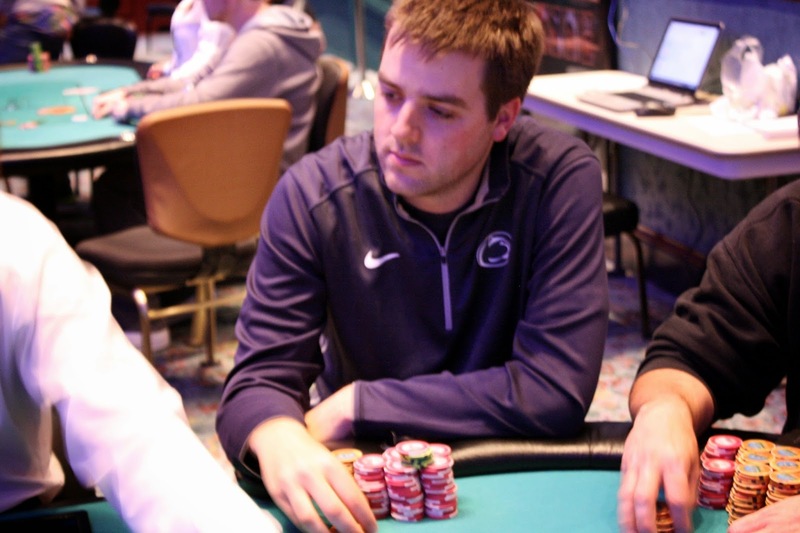 William quickly became an underdog when the flop fell [9s][Th][8s], giving his opponent a flush draw, a straight draw, and a live queen. The [7c] turn gave William's opponent three more outs to chop. Amazingly, the [Ah] hit the river, saving William from elimination. He will double up to 1,300,000. The final 6 players in Event #1 $600 NLH are now on a one hour dinner break. Play will resume at 7:40pm EST. 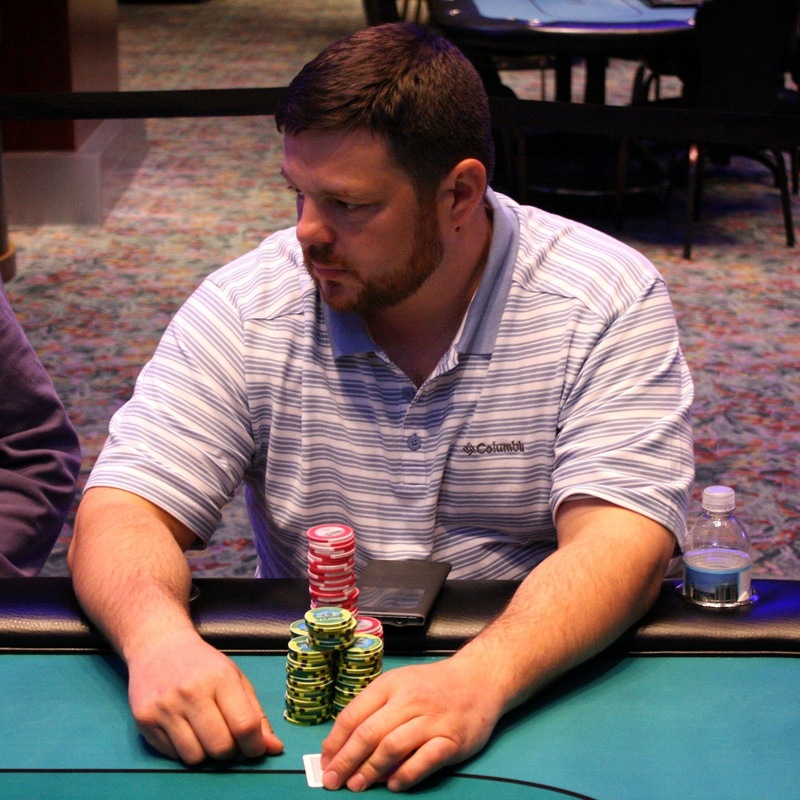 From the button, Jeff Cohen moved all in and was snap called by John Quirk in the small blind. 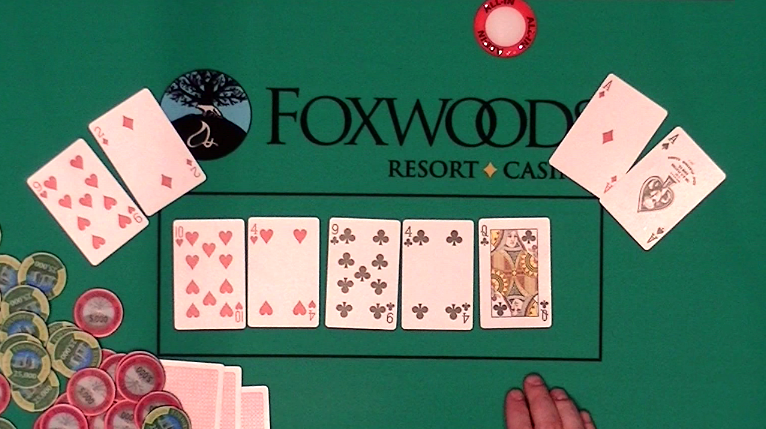 Don Farnen folded the big blind, and it was another race with Jeff's pocket threes against John's ace-king. The 8-4-4 flop gave John some extra outs, but the turn was a five and the river was a six to keep the small pocket pair in front. For the first time at this final table, ace-king did not win a race, and Jeff was very happy about this as he collected his double-up. Muhammad Abdel-Rahim raised under the gun before Don Farnen moved all in from the button. Action folded back to Muhammad who called all in for less, tabling [Js][Jc]. It was a good call as Don had [Ah][Kd], so it would be another coin flip at this final table. 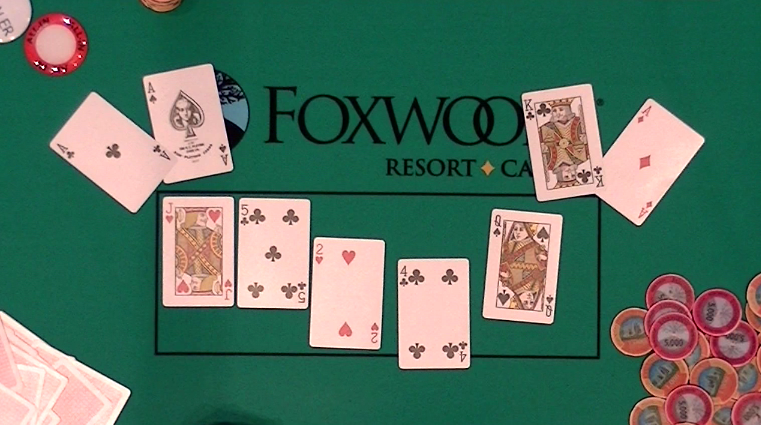 The [7c][3d][Kc] flop put Don in front, but the [8c] gave Muhammed a club flush draw to go with his two jack outs. As Don chanted, "No! No! No!" 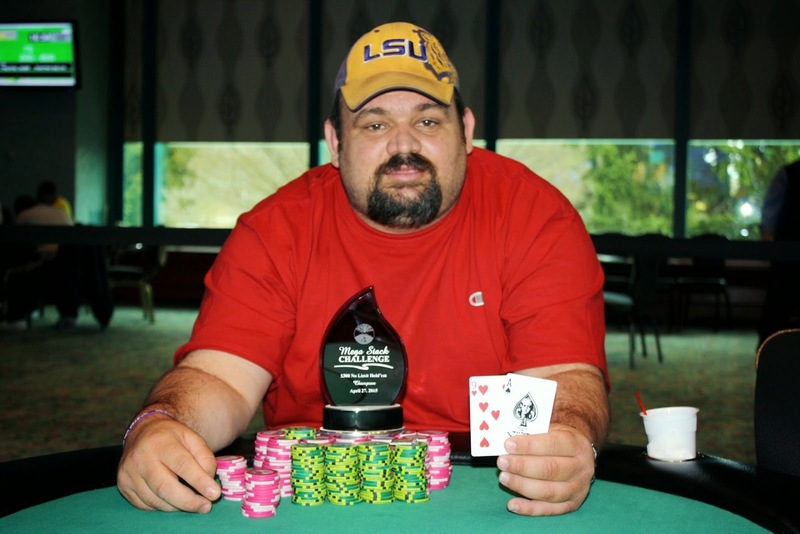 the dealer put the [Td] on the river, and Don's pair of kings would hold up. 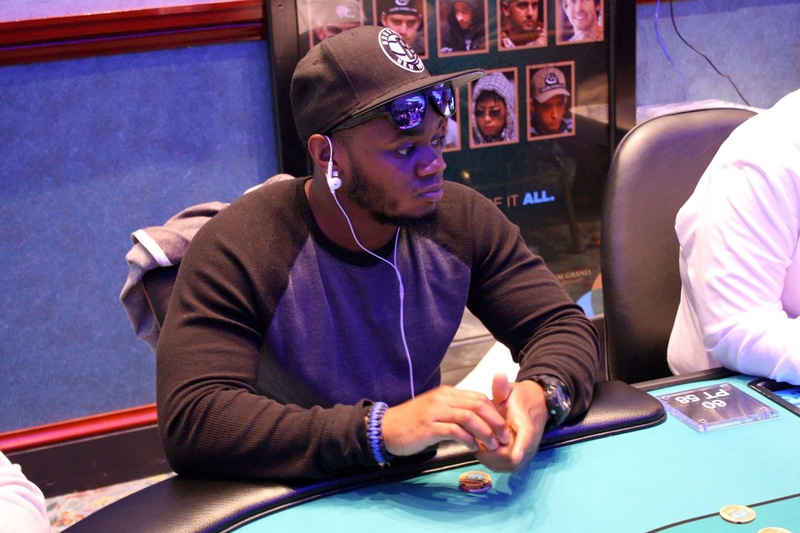 Muhammad will exit this tournament in 7th place, good for $5,977. 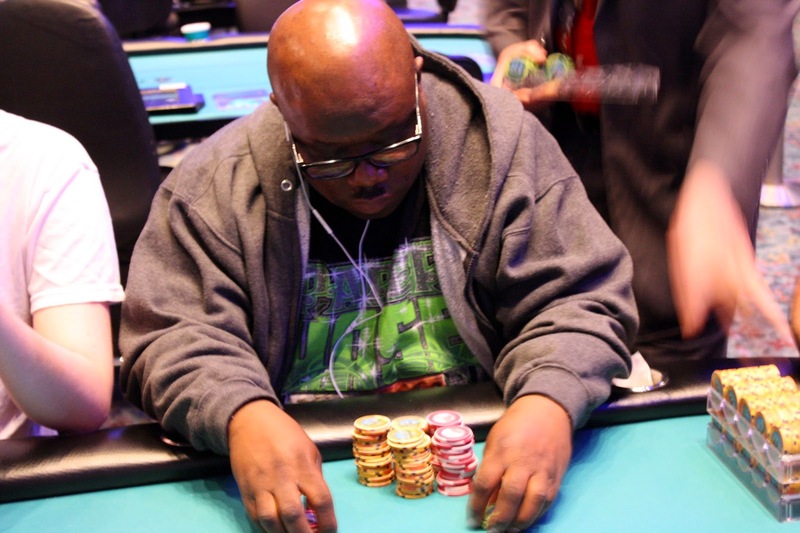 On a [7c][7h][Ah] flop, Frank Williams bet out 170,000 before Eric Kitain moved all in. Frank thought about it for a bit but eventually made the call, seeing that his [Ac][Ts] was behind Eric's [Ad][Jh]. 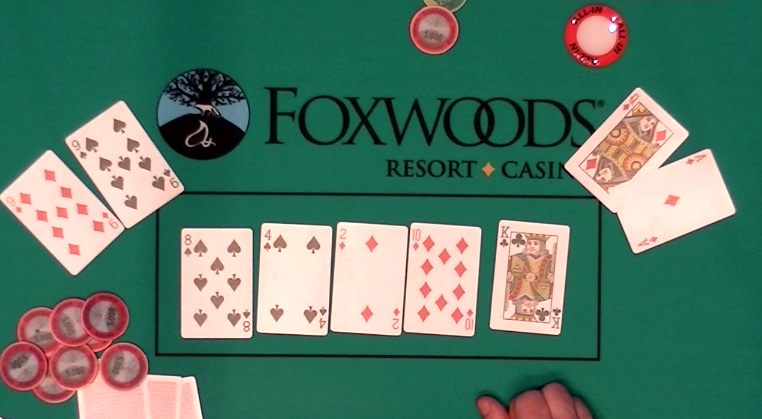 Frank asked for a king to chip, but instead the [Td] hit the turn to leave Eric in bad shape. He would need a jack to survive, but instead the [Ks] hit the river. 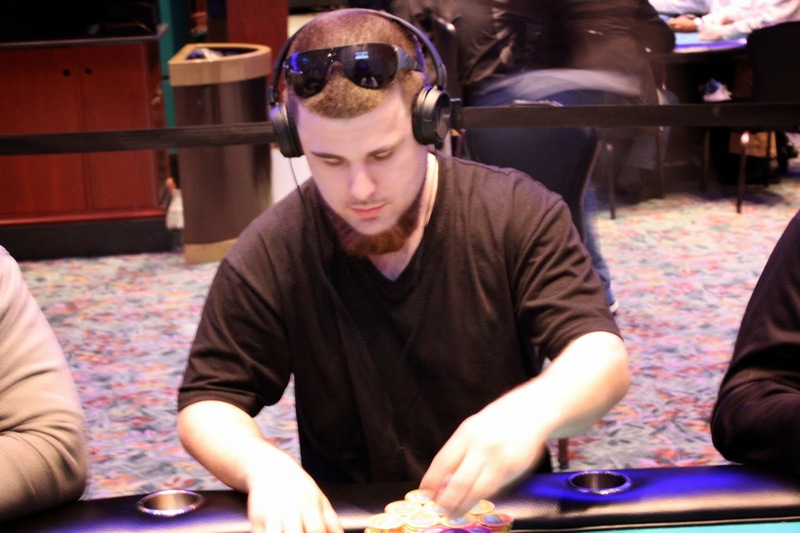 Eric will earn $4,733 for his 8th place finish today. 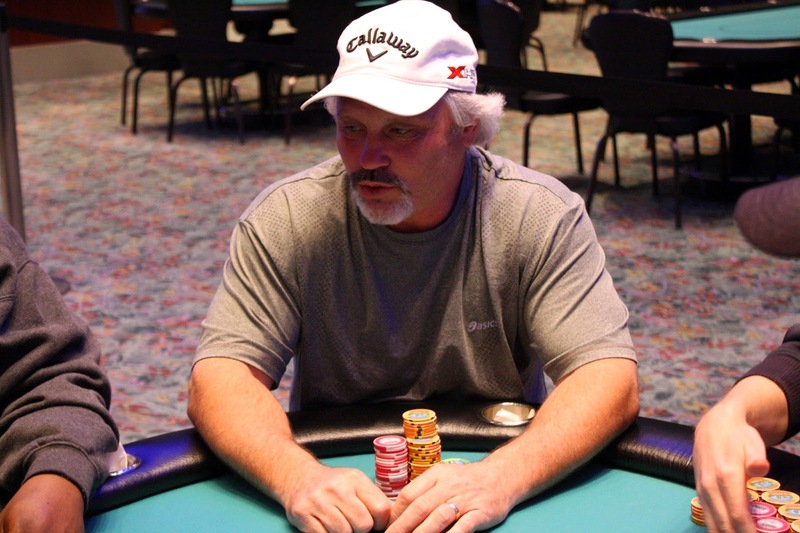 From under the gun, John Brakatselos moved all in and was called by Don Farnen on the button. It was a cooler as John had picked up [Ad][Kc] to Don's [As][Ac]. The [Jh][5c][2h] gave John two backdoor straight draws, and the [4c] turn meant he could hit a three to chop. But the river was the [Qs], sending John to the rail in 9th place. He will collect $3,666 for his efforts today. John Quirk raised under the gun and action folded around to Samrish Variyath in the big blind who moved all in. John asked for a count and eventually made the call with [Ac][Kd], which was flipping against Samrish's [Qs][Qc]. 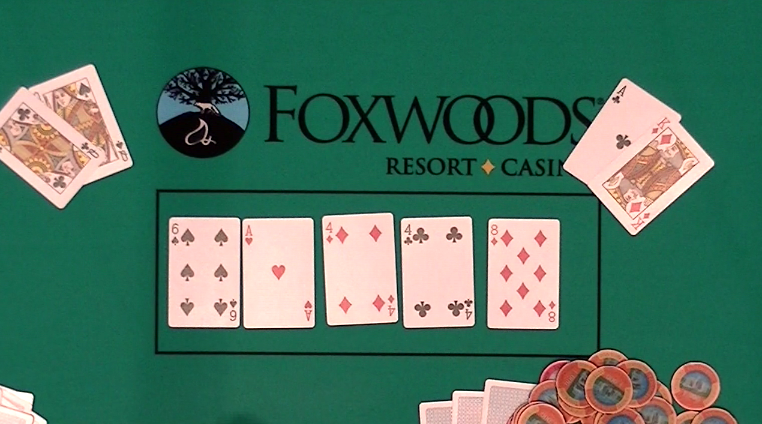 Samrish asked the dealer to keep it low, but the [6s][Ah][4d] flop was not what he wanted. He needed to catch one of the two remaining queens, but the [4c] turn and [8d] river didn't hit him. Samrish will exit this tournament in 10th place, good fro $2,656. 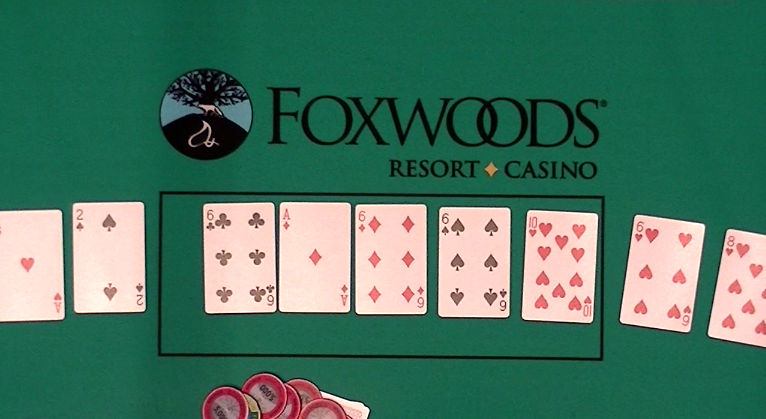 The board ran out [4h][Qs][2d][Tc][Jd] to give Jonathan the double up. Meanwhile, Don has seen his chip count drop to just under 500,000. 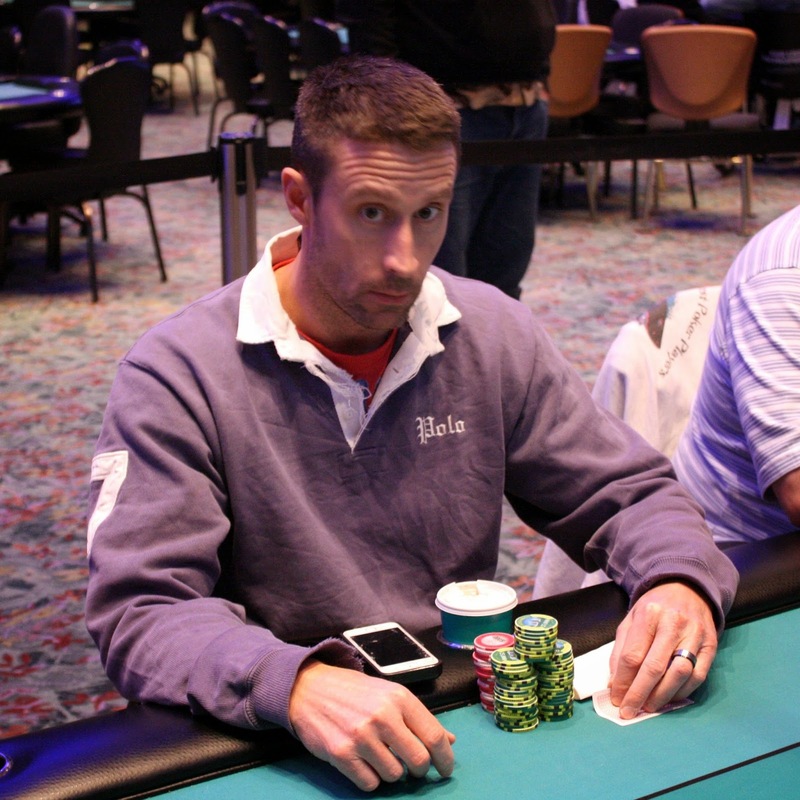 We lost Kyle Carey in 11th place when his ace-ten was rivered by his opponent's ace-deuce. With that elimination, we are now at the final table. The final 10 players are drawing for their seats, and the tournament staff are getting chip counts. We will be resuming shortly. Ralph Macri was all in preflop with [Qc][Ts] and was racing against his opponent's [9s][9h]. 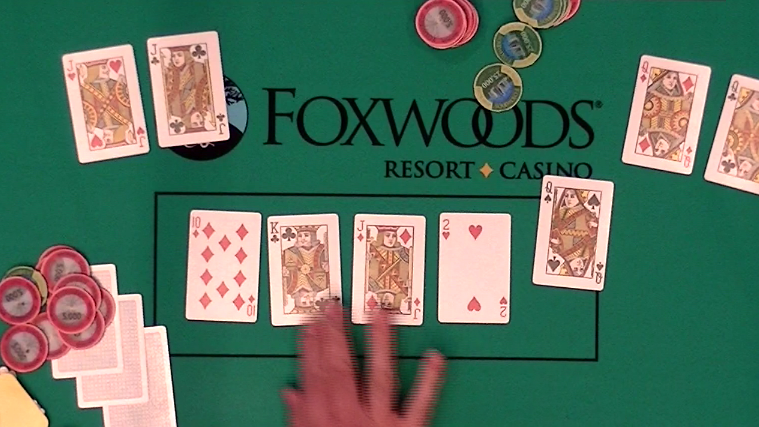 The [8h][Ac][9d] flop gave Ralph's opponent a set, but Ralph had his own gutshot straight draw. He hit it on the [Jc] turn, but Ralph would still need to dodge the ten outs for his opponent to make a full house. The [8s] that hit the river was one of those outs, and Ralph will be eliminated in 15th place. He will collect $2,241 for his efforts. Ryan Methia was all in preflop holding pocket jacks and was up against his opponent's king-queen. 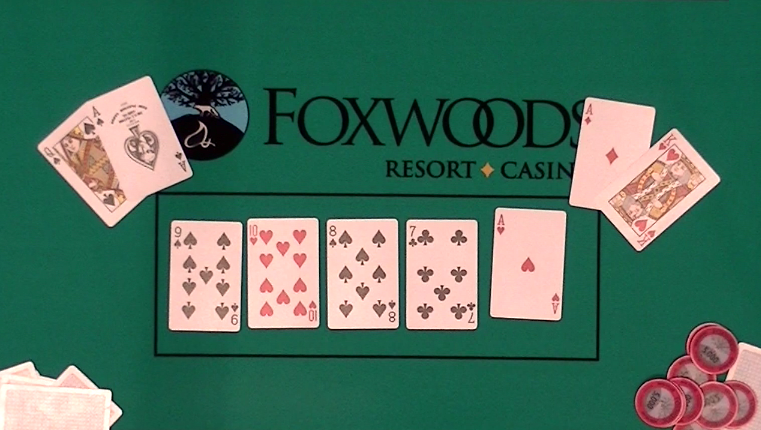 The ace high flop kept the jacks in front, and the turn was a brick. But a king fell on the river, delivering Ryan a knock-out blow. He will collect $1,992 for his 18th place finish. With the elimination of our 19th place finisher, we have reached the final 2 tables in Event #1 $600 NLH. Players will be redrawing for seats shortly. Notables still in the hunt are John Quirk, Ryan Methia, Joe Hillard, and Ralph Macri. We will bring you updated chip counts shortly. 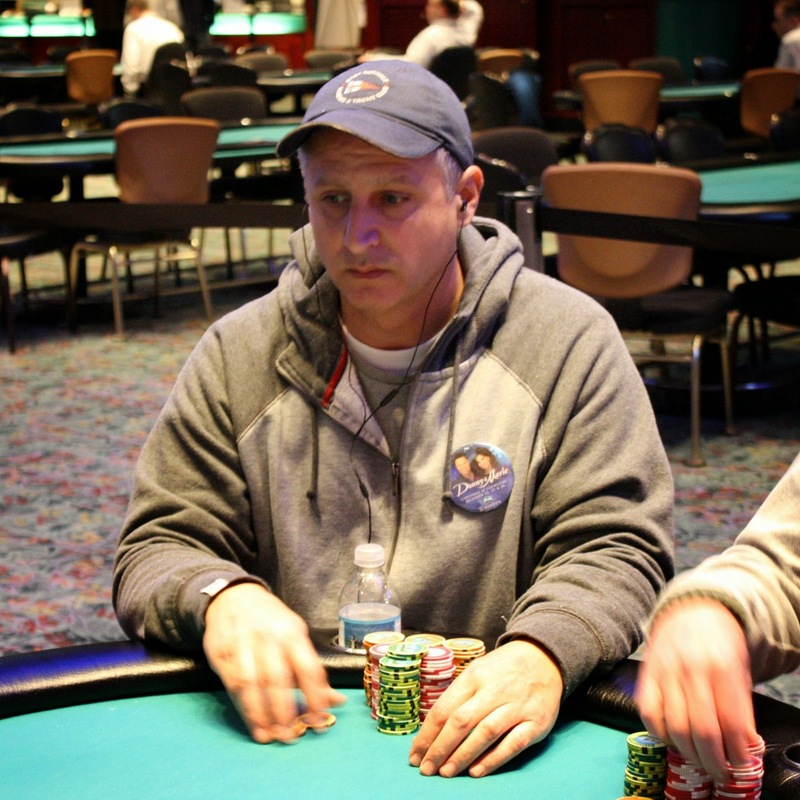 On table 3, we saw two Jim Procaccini bet the river against Eric Seigel while Silvio Mantuano was all in for the side pot. 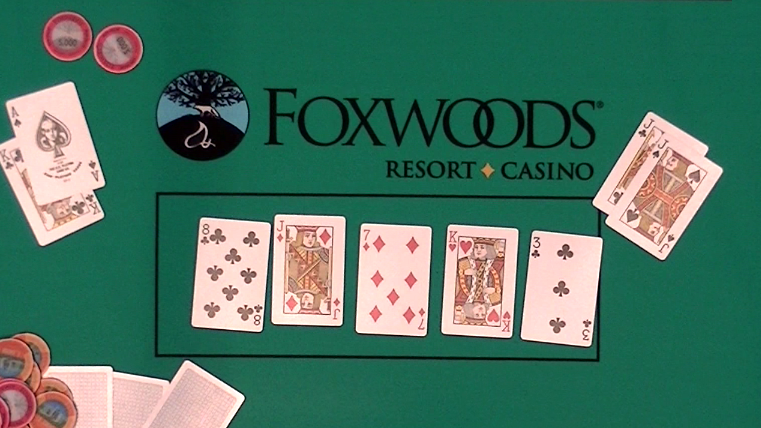 Eric folded, and Jim's ace-queen high was good against Silvio's ace-seven high. Silvio will be the bubble boy, while the remaining players are in the money. Tournament staff are breaking the outer table, and all seats will be filled in on the final 4 tables. The day started with 42 players and we are now down to 37 remaining in Event #1 $600 NLH. The next player eliminated will be the Bubble Boy, while the remaining 36. The blinds are currently 3,000/6,000 with a 1,000 ante. Cards are in the air for Day 2 of Event #1 $600 NLH. 42 players remain, with the top 36 players making the money. With 10 minutes left in the level, a card was drawn. Three more hands were played on all tables before play had concluded for the night. 43 players will advance to Day 2, which will resume at 12pm EST. Full chip counts and seating assignments will be posted shortly. 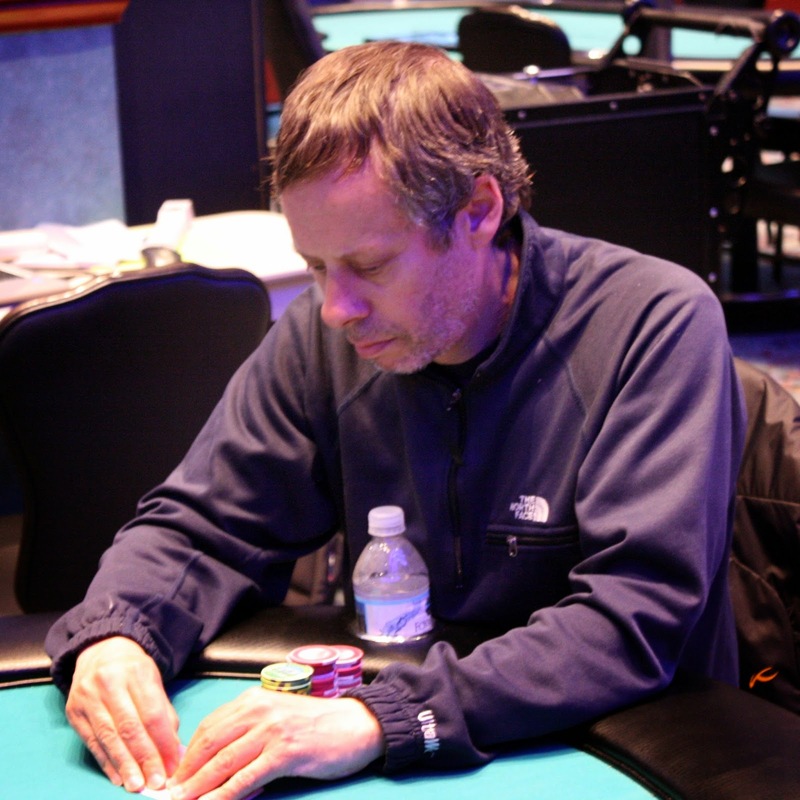 The 61 remaining players in Event #1 $600 NLH have returned from their last break of the day. The 100 chips are colored up and raced off, and the field is now playing 1,500/3,000 with a 500 ante. They will play this level and one more before bagging up their chips for the night. With 6 minutes left in Level 12, we're down to double digits as there's 99 players remaining. The top 36 players will make the money, so there's still a bit of play left before the bubble will be burst. We arrived at Ralph Macri's table to count his chips and saw him bet on the button on a queen high flop. His opponent check-raised and Ralph quickly moved all in, putting his opponent to the test. He eventually made the call, Ralph's pocket aces were in front of his opponent's queen-nine. The aces held to eliminate that player, and Ralph collected a nice pot, padding his stack to 207,000 with 10 minutes until dinner break. Cards are in the air for Event #1 $600 NLH. Players will start with 20,000 in chips, and re-entries will be available through the end of the 8th level. You can watch our brand new live stream on Twitch at www.FoxwoodsLive.com. Day 2 with a $100,000 Guarantee - Flight 1B will start at 11am on Sat. April 11, 2015. Registration will remain open throught level 8. 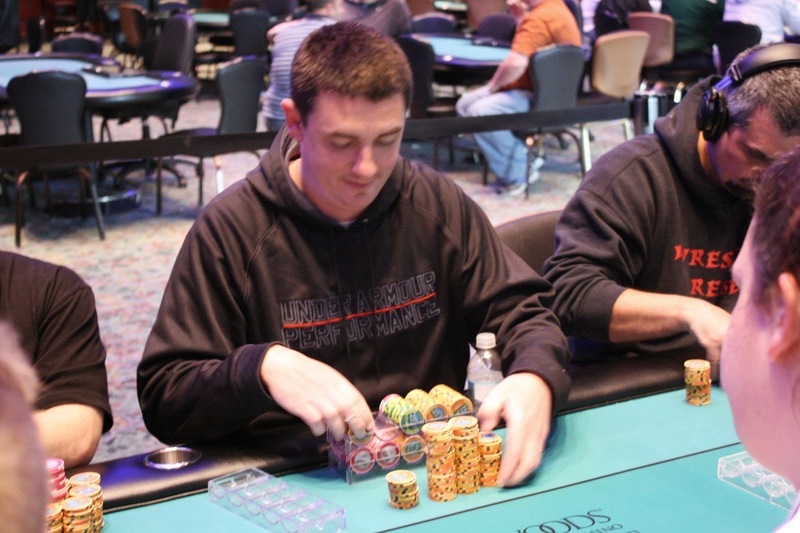 19 players with chip stacks returning from flight 1A.